A boozy, refreshing and creamy no bake Frozen Margarita Pie Slice with a Pretzel crust, with perfectly balanced sweet, tart and salty flavors. 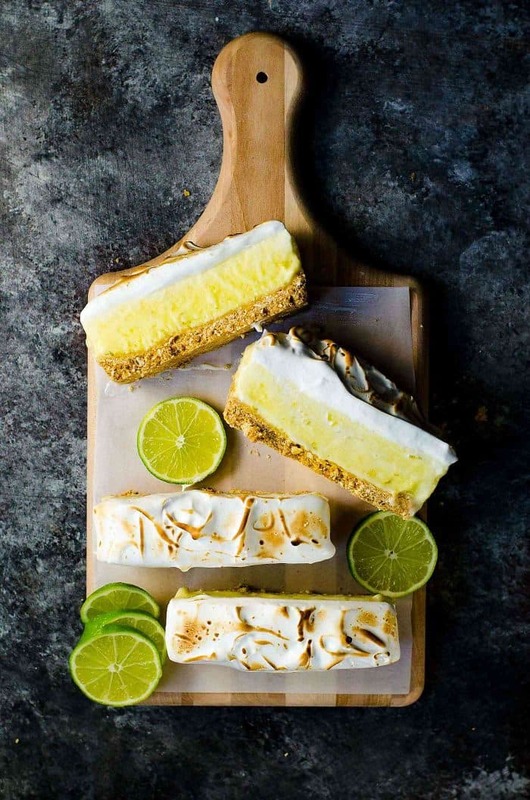 A cocktail, a dessert and a summer fiesta in one glorious frozen margarita pie slice! And it’s deceptively easy to make too! Welcome to the Summer edition of Freaky Friday! This is my fifth time, and it’s always a blast! 🙂 Freaky Friday is a blog hop organized by Michaela from An Affair From the Heart – where several food bloggers take part and each one is assigned another person’s blog (in secret) and they have to choose a recipe they like from that blog and recreate it, photograph it and then share it on their own blog on the same day (today! ), at the same time! This lady makes the most drool-worthy and delectable tapas, cocktails and cheese boards that’ll make you cry happy tears. 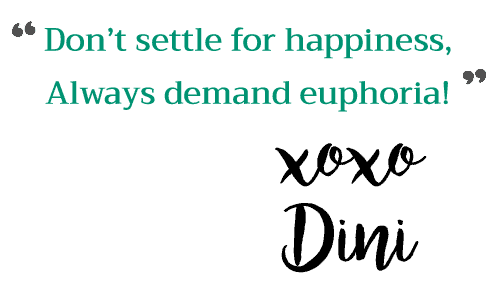 Her blog came to be because she believes in BIG flavors in small plates! 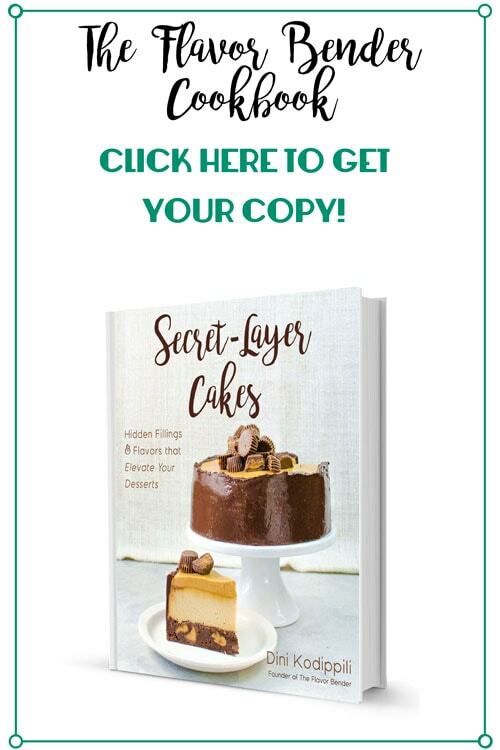 You’ll know right away when you go through her amazing recipes that she’s a maven when it comes to entertaining and all the culinary options that go with it. She has a great series on party planning and delicious appetizers/tapas and cocktails, perfect for parties. And awesome cocktails like this Cherry Bourbon Smash, Limencello Lady, Orange Jubilee and more! 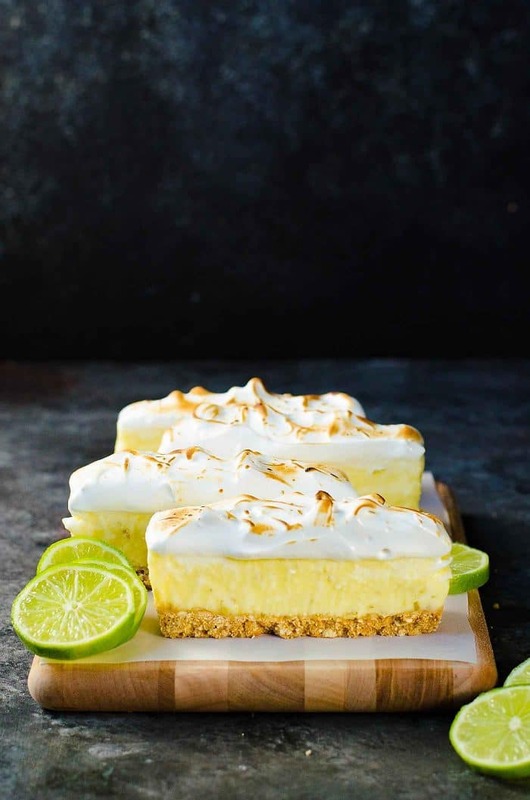 But in the end, I just couldn’t resist her Margarita Bars – this devilish combination of a margarita cocktail, with a pretzel shortbread crust and a creamy, tart lime filling! These flavors scream summer (and fall and winter and spring and day and night!). She made the creamiest lime bars, spiked with tequila, on a salted pretzel crust (genius), and I was inspired by it to make this delicious summer rendition – No bake Creamy Frozen Margarita Pie Slice with a Pretzel Crust! 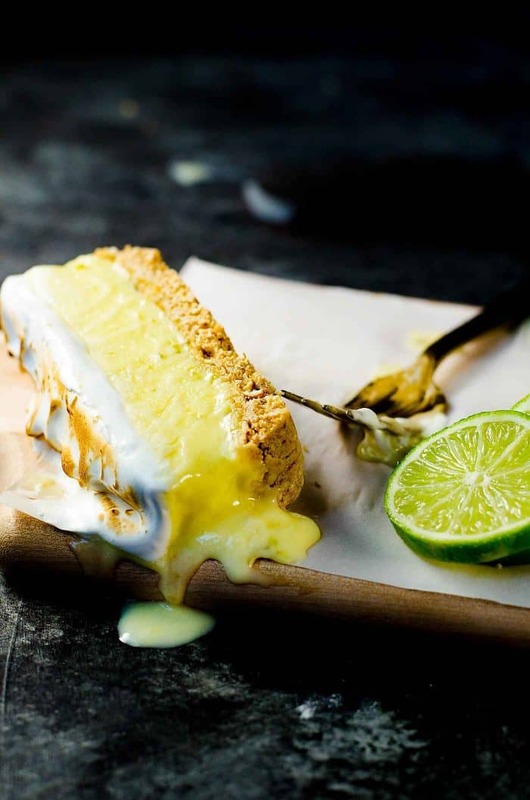 It’s like a delightfully creamy frozen lime pie, with a salted crust and a healthy dose of tequila. Bring on summer and 100°F+ days like today! So why is this no bake frozen margarita pie slice so good? 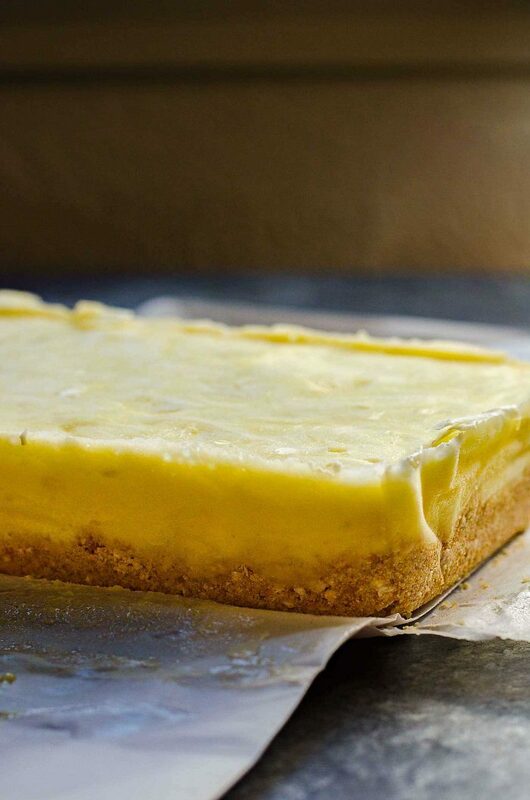 I made this frozen margarita pie with creamy lime curd, which is made from scratch and has just the right amount of sweetness while being deliciously tart. I control the sweetness by not adding condensed milk to the filling, so you end up with a glorious filling that is beautifully tart like a classic margarita! The curd is mixed with milk to add more creaminess – almost like this creamy and refreshing salted lime sherbet. A good dose of tequila makes this one addictive no bake boozy dessert. The buttery pretzel crumbs mixed with an extra dose of salt give these no bake frozen margarita pie slices an unapologetically delicious salty treatment, just the way you’d enjoy a classic margarita! HOWEVER, I also mixed the pretzel crumbs with butter to resemble the buttery shortbread base that Jen incorporated in her margarita bars! Unlike other margarita pies, this no bake frozen margarita pie slice has no sugar added to the crust. 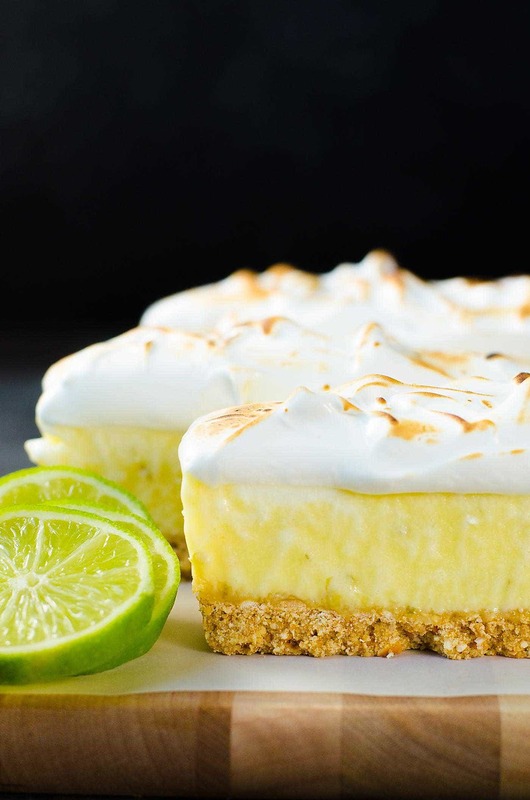 The lime filling is refreshingly tart with the perfect amount of sweetness, and the meringue topping adds more sweetness, so I didn’t want the crust to add any additional sweetness. Instead, I wanted the crust add a marked flavor and textural contrast with a buttery, crunchy, salty layer. This no bake boozy dessert is all kinds of refreshing and delicious, but just be careful (or don’t), because the tequila creeps up on you! 🙂 Just don’t be overzealous and add more tequila though, because that can interfere with the freezing. I actually made this recipe a few times, twice as popsicles, but the popsicles wouldn’t freeze properly with the amount of tequila I wanted in there. 🙂 I tried decreasing the amount of tequila, but where’s the fun in that? What’s even more amazing about this creamy frozen margarita pie slice is how easy it is to make! First you crush the pretzel with salt and butter and press it into a loaf pan, then top with the creamy lime and tequila mix which only takes a few minutes to cook. 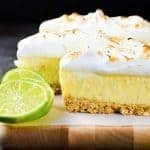 Once frozen, you can enjoy this frozen margarita pie as is, or top with a pillowy soft meringue which adds another depth of flavor. It’s the perfect summery, boozy dessert for adults! And since it’s not too sweet, it makes for a light and refreshing way to finish off a lovely meal too. If you do want to try making popsicles with this recipe, just reduce the amount of tequila and make the popsicles in small 3 oz disposable cups (so that you can make a small cut and peel off the cups for easy removal, like I do with these popsicles). Host the Toast also has a really fun idea on how to serve margarita popsicles! 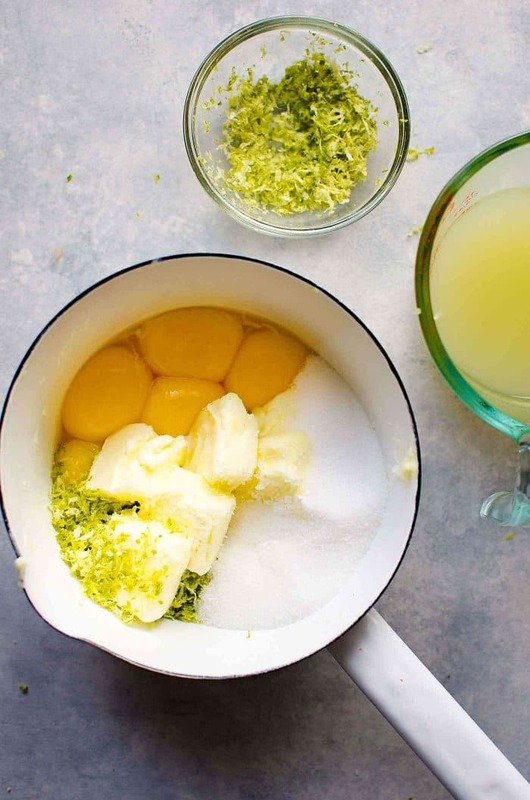 Place the lime, zest, egg yolks, cornstarch, sugar, butter, vanilla and salt in a saucepan. Whisk to combine. Heat over medium heat while whisking continuously until the butter melts. Change over to a spatula and stir continuously to prevent the mix from curdling/scrambling. Heat the mixture further until it thickens and coats the back of the spatula. Make sure to stir at the edges of the saucepan as well, so that the lime curd doesn’t catch the bottom. This should take no more than 10 minutes. 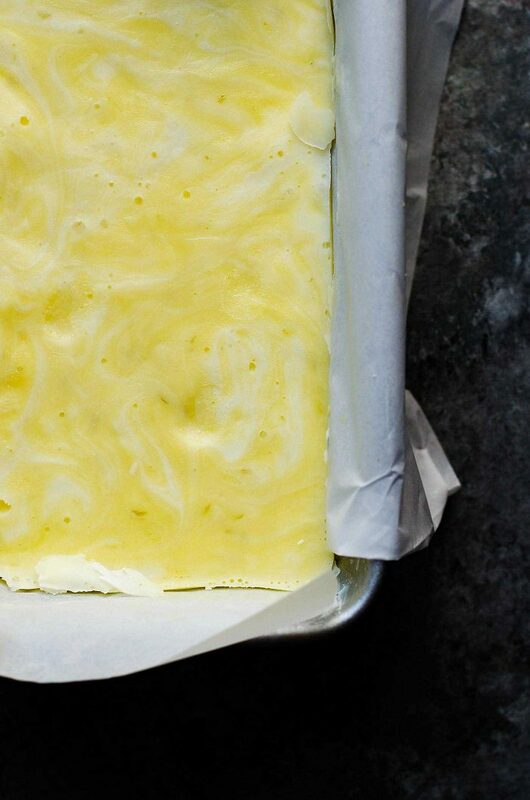 Cover the lime curd with plastic wrap (with the surface touching the plastic wrap), and let it cool down completely. Once cooled, remove the plastic wrap and stir in tequila and half and half. Refrigerate the mix to chill. Line a bread pan (loaf pan) with parchment paper (leaving some parchment paper hanging off the sides for easy removal). Set aside. Place the pretzels and salt in a food processor. Process until they resemble bread crumbs. 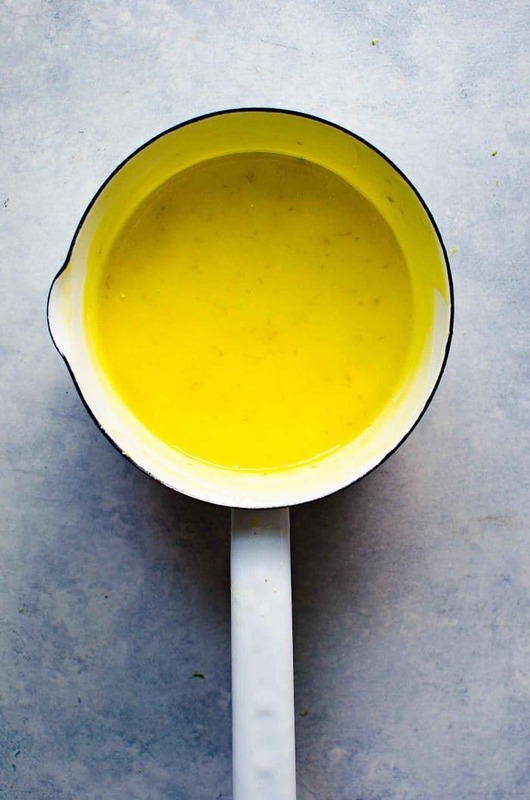 Pour the melted butter, and using a spoon or your hand, mix the butter in thoroughly. Press these crumbs into the bottom of the prepared loaf pan. Freeze the crust in the freezer until completely hardened. Place the egg whites, sugar and salt in a clean and dry (preferably metal) bowl. Bring some water to a simmer in a saucepan, and then place the metal bowl with the egg whites, over the simmering water. Whisk continuously until the sugar has dissolved in the egg whites. Be careful not to let the water contaminate the egg whites. Once the sugar has completely dissolved, remove the bowl from the simmering water and using your hand mixer, whisk on high until you have thick glossy meringue with stiff peaks. 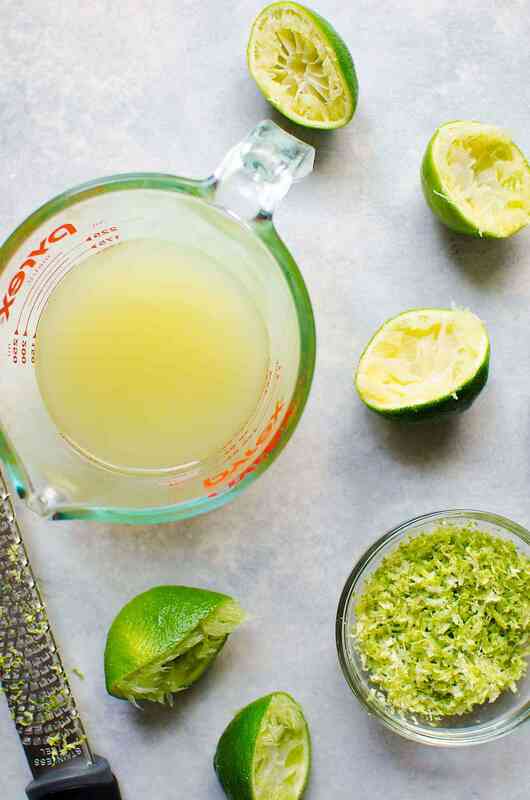 Stir in lime zest. Use immediately. Once the crust is frozen, pour the chilled margarita filling on top. Return to the freezer to let it completely harden (preferably overnight). When the frozen margarita pie has completely hardened, you can prepare the meringue. Top the margarita filling with the meringue, creating swirls and peaks with the back of a spoon. The margarita tart can now be stored in the freezer for a few hours with the meringue topping. Using a blow torch, caramelize the meringue just before serving. Slice the frozen margarita pie into slices (use a warm knife for clean, neat cuts). Enjoy! Note - If you have a super cold freezer (like mine), it's ok to add 1/2 cup of tequila. However, if your freezer isn't very cold, I would suggest adding 1/3 of a cup. Remember that this is relatively soft and melts easily because of the extra tequila! 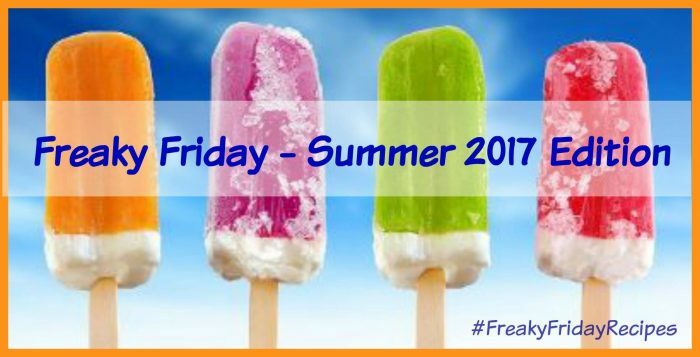 And don’t forget to check out all the other awesome bloggers participating in this Freaky Friday Summer edition! If you liked this no bake creamy frozen margarita pie slice with a pretzel crust (frozen margarita pie) recipe, don’t forget to subscribe for new (and free) recipes by entering your email address on the side bar (and get all these recipes delivered straight to your inbox), so you don’t miss out on a thing. You can find me on FACEBOOK, TWITTER, INSTAGRAM, PINTEREST, YOU TUBE and GOOGLE-PLUS too. This is the most perfect dessert I’ve ever seen!! I’m in love with this!! D, you say the sweetest things! You are one of my favorite people too! I am so glad that you liked the bars and your spin on them is amazing! 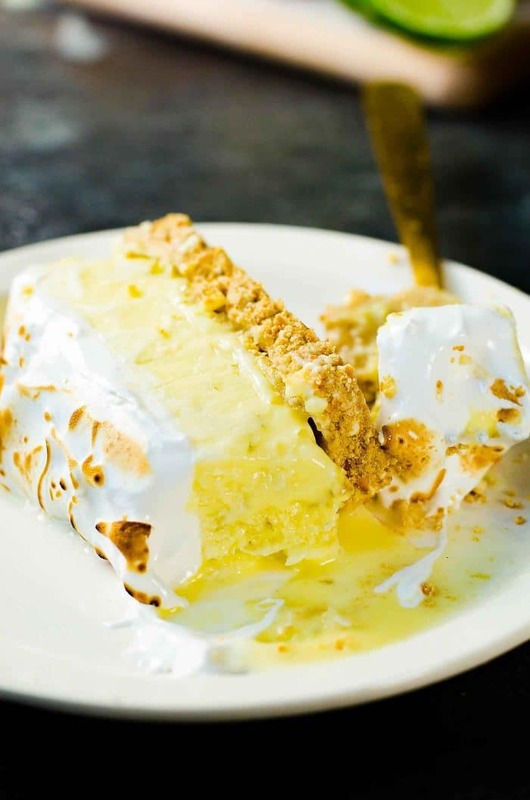 The coolness of the frozen pie and that toasted meringue have me drooling in AZ where the temp always seems to be over 100! Oh I need this in my life!!! Looks simply amazing!!! This is exactly how I’d love he to cool off in these hot temps! And having a little booze makes it even better! This looks DIVINE!! I love every single thing about this recipe! Oh my goodness! The description of this pie is making my mouth pucker and water all at once! lol What a delicious boozy dessert. Looking forward to trying this! Can I come over soon? Cause you make the best desserts!! This looks delicious and your pix are gorgeous! This may be my favorite Freaky Friday recipe to date! OMG! I am in love with this pie! That is one beauty of a pie! Mine with the full 1/2 cup please! It would be so refreshing during these hot days! This is such a fun dessert, plus it’s gorgeous!! And it absolutely would be great with a margarita to go along with it! One word, WOW!!! This not only looks amazing but it sounds like a perfect summer dessert!!! I NEED to make this asap!!! And that pretzel crust is pretty genius! Any bar dessert gets my immediate attention but add a little margarita element to the mixture and it goes directly to the front of the line. Loving this summer dessert recipe and can’t wait to try it; beautiful photos too! I need it I need it I need it! Love the pretzel crust – creative touch! That looks so drool worthy! I can’t wait to dive into a large slice! I love margaritas!!!! This is something I would love sooooo much!!!!!!!!!!!!!!!!!! The perfect summer dessert! Boozy is best lol!